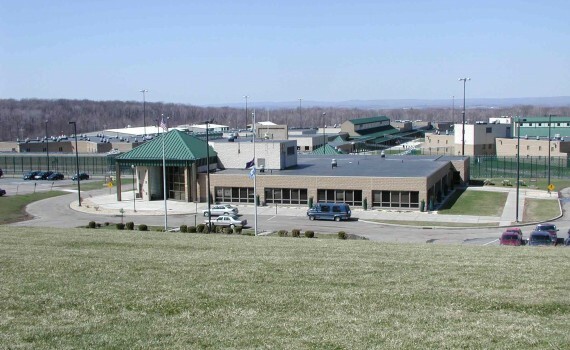 Charles Wagner, founder of Gramazin, and his 24-year-old son Chad, co-founder, visited a convicted “bank robber” at a state penitentiary in western Pennsylvania on March 21, 2015. Read the first article in this two-part series. “Peter” greeted us with a bright smile and a strong handshake. His nicely groomed appearance was that of a professional and he had a countenance of confidence. After he embraced his father, who had just made his 153rd trip across Pennsylvania to visit his son, Peter led us to a table in the large room where the number of prisoners being visited by friends and family may have been outnumbered by the number of cameras. Chad and I proceeded to ask Peter questions about his troubled youth, his adult crimes, his arrest, and life in person. His answers reflected a man who is transparent and candid, unafraid of speaking the truth about the mistakes he has made in life. This was a man, dressed in the dark maroon jumpsuit worn by every inmate, who was remorseful and repentant. He has committed his life to restitution, for the damage he caused his own family as well as the damage he caused total strangers. He stated that he understands he deserves to be where he is. During his first few years in prison, Peter built respect with the gangs in the prison by his status as a violent offender, his continued deviant behavior, which led to solitary confinement, and as a man quite capable of defending his honor. However, God was at work in his life. A compassionate guard enabled Peter to find a job in the prison and it was at that job that Peter became friends with a “lifer”, a strong man of faith who challenged Peter to turn his life around. Over the past few years, Peter has dedicated himself to attending worship services, successfully earning an associates degree from a university in Ohio, and leading a group of prisoners who direct their energies to living a healthy and nutritious lifestyle. God has demonstrated in his life that He is a god of mercy, compassion, and forgiveness. Peter has dedicated his story, which includes drugs and alcohol, numerous minor arrests, drag racing, and his survival of a half-dozen serious car accidents, to making a difference in the lives of young people. It is his heart’s desire to help prevent at least one young person from making the same mistakes he made. Students at a Bucks County high school have already reached out to Gramazin after hearing Peter’s testimony. God is a god of hope, turning a life of total disaster into a ministry that can save lives and souls. We said our goodbyes after our four hour conversation. As Chad and I walked out of the prison, going through various checkpoints, we never felt in danger, even as we were in a room with 20 inmates, any of whom could have been a convicted murderer. Peter had made it very clear – there was a code in the prison that everyone of the 2,200 inmates understood – the place where families and friends are permitted to meet with prisoners was off limits to any violence. It had to be a safe place or no prisoner would be able to enjoy the compassion of outsiders they so desperately need. Will you have compassion on prisoners? Will you make a difference in the life of just one prisoner? What prison ministry can you join? Can you give up one morning, afternoon, or evening to let a prisoner know they can have hope, that their life can be changed by the God who loves them? Commit your heart to Matthew 25:36 today! No more excuses! I needed clothes and you clothed me, I was sick and you looked after me, I was in prison and you came to visit me. Praise be to the God and Father of our Lord Jesus Christ, the Father of compassion and the God of all comfort, who comforts us in all our troubles, so that we can comfort those in any trouble with the comfort we ourselves receive from God. We use Internet technologies to foster unity in congregations and then help those congregations effectively connect with the hurting unchurched in their local communities who are searching for help online. Click here to read the testimony of Charles Wagner, the founder of Gramazin, published on the website of the church he attends. Copyright 2016. Charles Wagner. All rights reserved. Dedicated to God. Kudos to Weblizar for great theme!